Hatha Yoga instructor and passionate about food and ayurvedic science, he has studied Tai Chi with Professor Alfredo Vázquez and Ayurveda with Alexnder Linder. 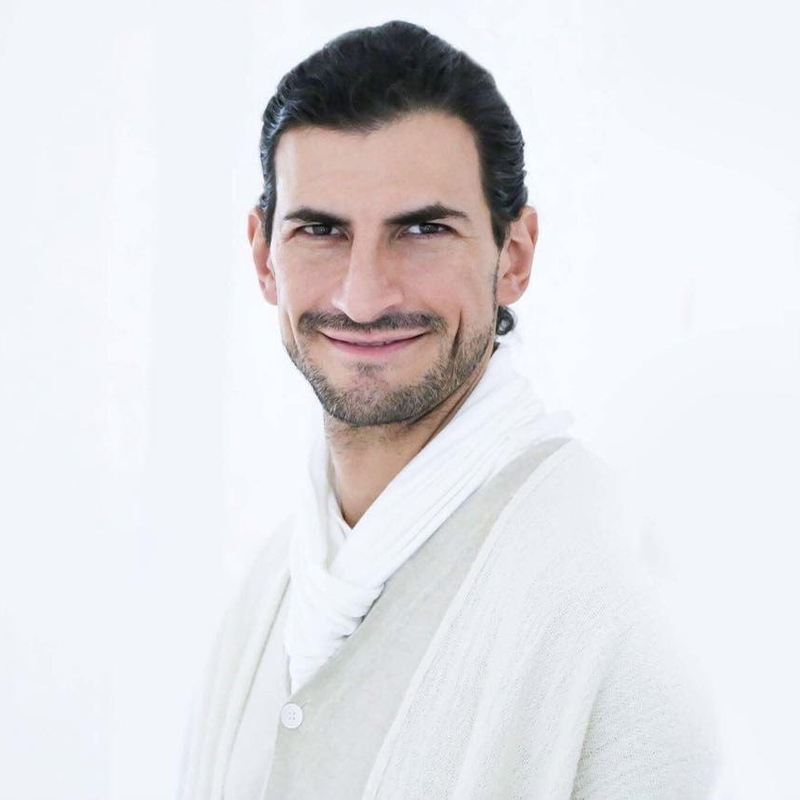 Marcos is a teacher certifier endorsed by Yoga Alliance and is frequently updating in yoga studios, which is why he has received certificates from Yoga Works and Exhale in Los Angeles. In 2002 he founded Om Yoga where they teach yoga classes, retreats and courses for teacher training, as well as Marcos Jassan Food: raw vegan food club of Ayurvedic preparation, coaching, detox food and banquet service. Marcos participates in the television program El Mundo de Om Yoga with Marcos Jassan and has collaborated with HSBC, Procter & Gambble, the soccer club América and imparts seminars and retreats in Mexico and around the world.